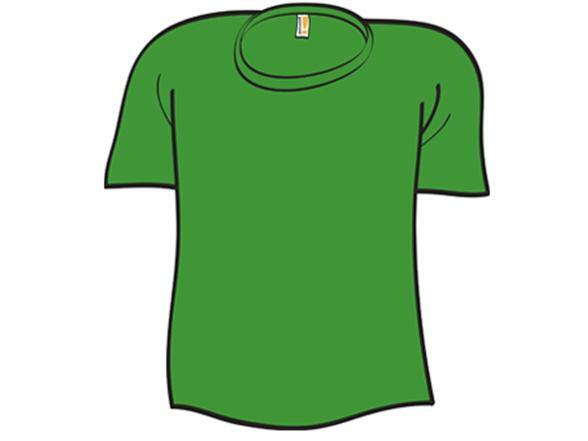 Really, we wanted to print something on these grass-green shirts. It's a pleasant color - bright, yet not overly neonified or limed-up. But our designers couldn't think of anything. Our Derby entrants couldn't think of anything. We couldn't think of anything. Then we stopped trying. We're off work today, and thinking feels a lot like working. But all these shirts aren't going to up and turn themselves into money. Get yourself a Sharpie and hey, presto, a make-your-own-Woot-shirt kit. Sharpie sold separately. This shirt was designed by: the same genius who designed the Libyan flag. Wear this shirt to: just about anywhere t-shirts are appropriate. Don't wear this shirt to: tonight's luau. The invitation said "grass skirts required". 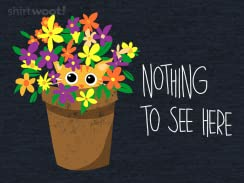 This shirt tells the world: "Of course you can't see anything on this shirt. It's printed in invisible ink." We call this color: Lazin' in the Grass.